Reg $10. 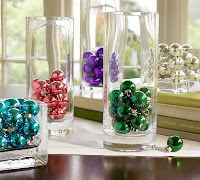 Fill a vase, decorate a tiny tree, or tie them together to make a cute garland. Set of 18. From Pottery Barn.